How do I protect my home from wildfire? 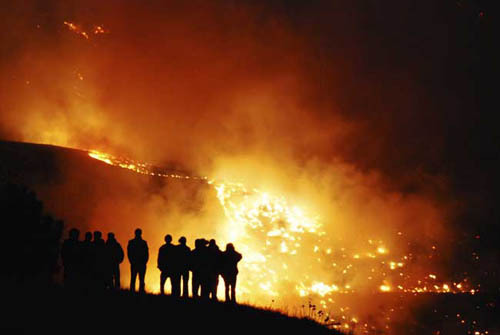 How will fire mitigation help protect my home from fire? What is an Rx Burn? What is the difference between a Controlled Burn and a Prescribed (Rx) Burn? What is an "urban interface fire"? The wildland/urban interface is the geographical point where the diverse values of the wilderness and urban development meet. In the interface, structures and vegetation are sufficiently close that a wildfire may spread to structures or a structural fire may ignite trees and vegetation.